A multinetwork editorial piece which ran on all digital platforms, on broadcast and promoted across Corus Radio Stations. 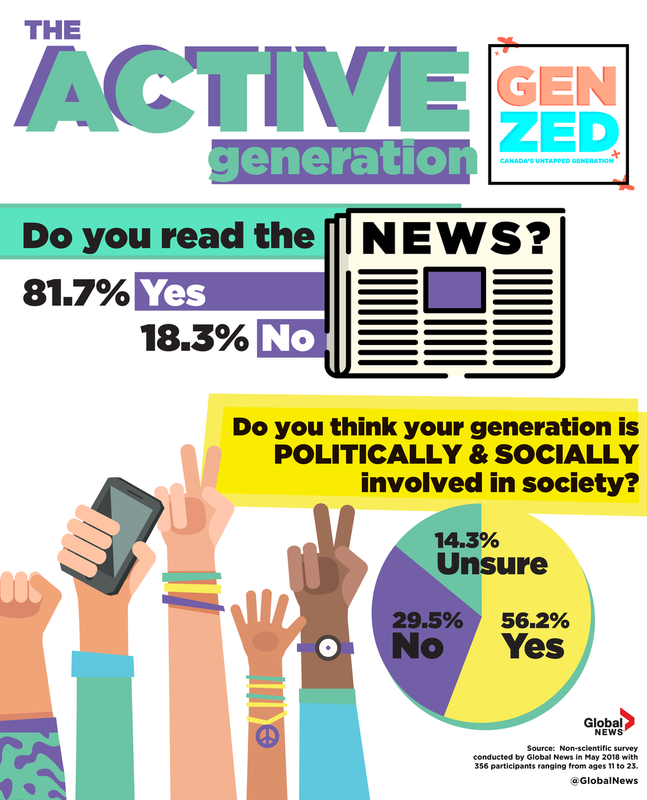 The article focused on a largely unknown generation, from who they are and what they're thinking about to how they consume technology, their career aspirations, thoughts on relationships, social activism, mental health and more. The graphic wanted to reflect the personalities of these individuals as well as appeal to them visually. For this reason, the designs throughout the campaign broke away from the traditional Global News branding to give the editorial piece a fresh, youthful look.